Imagine a woman who's part Mae West, part Dear Abby, with a scoop of Glenda, and a large dollop of Kali energy, who tells it like Janis Joplin might. Cal Garrison is that woman, a professional witch and astrologer, who in her first book, The Old Girls' Book of Spells, invited women of a certain age to use her spells to enliven their love lives, find their car keys, and prevail at work and at home. In this sequel, Garrison invites these same women to take a few minutes a day throughout the year to conjure their own dreams and magic. In the Introduction she teaches women to put their minds on the shelf and get into their hearts, to discover their true desire and write it down. 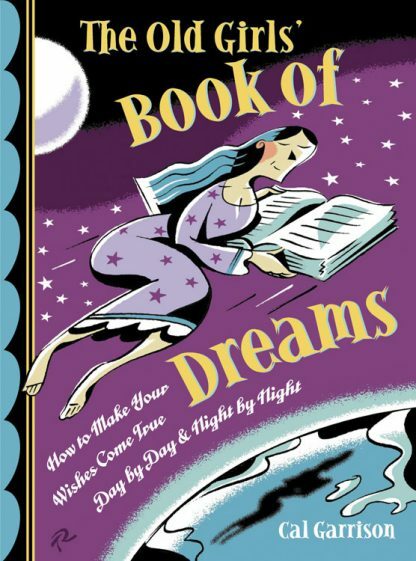 Organized by the signs of the zodiac, beginning with Capricorn and ending with Sagittarius, The Old Girls' Book of Dreams offers tidbits of wisdom, relevant stories from the author's life, and ideas about what kind of magic and energy to look for in each month. When is it time to plant the seeds? And when is it time to reap the fruit? Garrison offers twelve essays, well stories, well pages of hard-won knowledge and homespun advice. Each of these is followed by 12 blank pages. Here's where you record your dreams and begin to conjure them into reality. With more than 100 inspirational quotes, sayings, and get-off-your-buttisms to further inspire you as you are delivered dreams the whole year round.